"I apprised Rahul Gandhi of the current situation in Gujarat and how the Congress can win in the state in Lok Sabha elections. 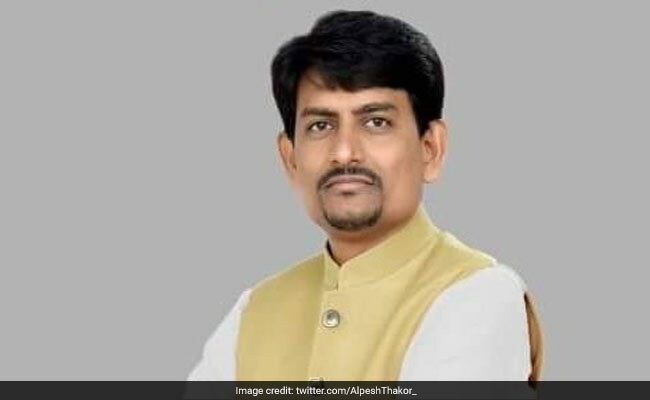 I also shared my views about the ways to strengthen the party and how we can start preparations for the elections," Alpesh Thakor said. On his criticism of the Gujarat Congress leadership, Mr Thakor maintained that it was not a "rebellion". Congress MLA in Gujarat and OBC leader Alpesh Thakor, who recently criticised the state leadership of the party, met party president Rahul Gandhi in New Delhi on Thursday. Speaking to reporters at the city airport after returning, Mr Thakor claimed that Rahul Gandhi trusts him a lot. "I apprised Rahul Gandhi of the current situation in Gujarat and how the Congress can win in the state in Lok Sabha elections. I also shared my views about the ways to strengthen the party and how we can start preparations for the elections," Mr Thakor said. "Rahul Gandhi said he has immense trust in me. He offered to give me any responsibility of my choice. Such offers are rare to come by in politics," Mr Thakor claimed. The Congress MLA from Radhanpur also said that though he asked Mr Gandhi to relieve him of the responsibility of Bihar, the party president asked him to continue. Mr Thakor is the Congress secretary in-charge of Bihar. "I told him I want to work only in Gujarat. But he asked me to continue with Bihar too. He even indicated that I would be given responsibility of other states, which he will discuss with me after he comes back from Dubai," said Mr Thakor. "I am an honest man. I will speak if something is not going in the right direction. If we do not speak, how would we correct our mistakes? I only spoke truth. It should not be labelled as a rebellion," he said. The young OBC leader had said recently that his community and supporters were feeling "cheated" and "ignored", which was seen as a criticism of the state leadership. "Weak leaders" were at the helm of party affairs in Gujarat, he had said in an apparent reference to Gujarat Congress president Amit Chavda.